An RSPO Credit is proof that one tonne of certified palm oil was produced by an RSPO-certified company or independent producer, and has entered the global palm oil supply chain. By purchasing Credits, buyers encourage the production of certified sustainable palm oil. Now, we already own one plot of land, two hectares, which we also bought as a result of RSPO Credits. After we joined the RSPO, we learned the best practices to manage our plantation. Before, our income was modest. Now, it is more than enough. The RSPO certification logo has come to be recognized as an important tool in our organization and field that can be applied to achieve SDGs. Because our products have the RSPO credit logo, they are often introduced at RSPO and sustainable manufacturing events to consumers and other companies within the supply chain. This also builds upon the public understanding of the Sustainable Development Goals. In Japan's matured market, the number of "social consumers" has been on the increase since the 2011 tragic earthquake and tsunami, allowing for the natural increase of ethically-minded consumption. The RSPO logo has been an excellent way to identify our products and company to like-minded and socially conscious customers. Gapoktan Tanjung Sehati, a farmers' organisation in Jambi Province, was established in 2009 to promote sustainable oil palm cultivation, and to help smallholders overcome such problems as underpricing, lack of knowledge on responsible agriculture, limited market access and reliance on middlemen. Applying RSPO Principles and Criteria, earning their RSPO certification, and reaping the benefits of their hard work through RSPO Credits has helped the group look beyond simple technical knowledge and adopt more innovative sustainable practises, such as mainstreaming organic fertiliser from cow dung, and institutionalising a culture of mutual aid and cooperation in the community. Now, with the support of RSPO and other NGOs, the organisation is reaching out to train other farmers in Jambi Province, to help build capacity-and to spread the prosperity. Local farmers in Merlung and Renah Mendaluh Subdistricts had to encroach on the protected Bukit 30 National Park because of lack of cultivation knowledge, unsustainable practises, and low quality yield in oil palm fresh fruit bunches. RSPO reached out to the farmers, who banded together and worked diligently to pursue RSPO Certification and introduce sustainable practises laid out by RSPO. Earning RSPO Credits also led to recognition from the government and palm oil markets for the farmers' produce. Beyond realising the benefits of sustainable oil palm cultivation, however, smallholders also gained a new perspective on natural resource management as part of the bigger picture, moving them to declare two kilometres of rivers as sacred sites, thus protecting the areas from further degradation. For these farmers, it has been a fruitful journey from responsible agriculture, to taking full responsibility for caring for their environment by the hand of RSPO. WHERE TO GET RSPO CREDITS? RSPO Credits are being traded on RSPO's convenient trading platform: PalmTrace, which gives you access to all RSPO supply chain models, making it easy to upgrade to different supply chains. Create an RSPO PalmTrace account through one of the links below. When you receive the confirmation email, you can purchase RSPO Credits! 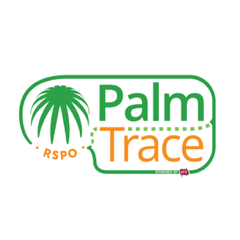 You need to be registered to PalmTrace to start purchasing RSPO Credits. Get started now to register yourself to PalmTrace!